The Due North Everyday Pro Traction Aid is a must have for walkers, runners, and anyone who enjoys being outdoors in the winter months. The Pro traction aid easily and conveniently fits onto boots and shoes to help prevent slips and falls. Perfect for anyone who is looking for stability and control while running, working or walking during the winter months. 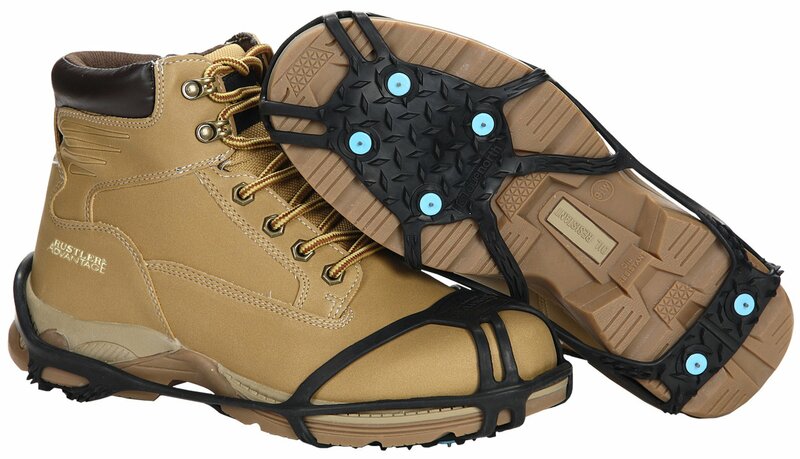 Designed with a strong rubber that is made to withstand cold and rugged conditions. 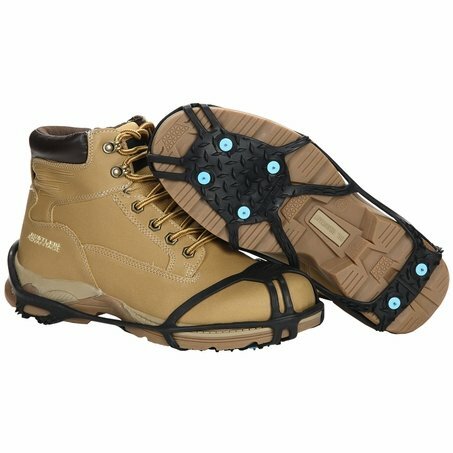 The traction aid is intended to protect from slips or falls that can cause broken bones, bruises and back aches. The Pro Aid is easy to remove from shoes, and small enough to be stored almost anywhere for convenience! Designed with a new and improved toe box that allows the aid to fit better. Each aid includes six Ice Diamond Spikes as well as bi-directional tread that will keep you on your feet!